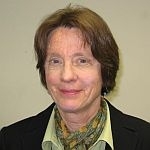 (HOST) Commentator Cyndy Bittinger has been thinking about the Obama’s visit to Ghana and Vermont’s abolitionist past. (BITTINGER) With my interest in African American history, I paid attention when President Barack Obama took his family to Cape Coast Castle,Ghana, the infamous fortress which held the newly enslaved bound for America. Michelle Obama’s great-great-grandfather was a slave in South Carolina, so her ancestor might even have been there, locked in cramped dungeons with as many as a thousand males and five hundred females for six to twelve weeks, waiting until a ship’s crew forced them into even more horrific conditions for passage. My own research took me to an abolitionist site located right here in Vermont. It’s a homestead in Ferrisburgh, where Quaker abolitionists provided shelter for runaway slaves before the Civil War. Quaker church friends created safe havens for slaves at Rokeby and at other farms in the Ferrisburgh and the East Montpelier region. Rowland Thomas Robinson, Rokeby’s owner, was a leader in Vermont’s first Anti-Slavery Society which produced a steady stream of printed materials describing the evils of slavery and petitioned the federal government for action. He and his wife, Rachel, taught fugitives to read and write; skills they would need to start a new life. Evidence to that is found in the Robinson papers with escaped slave James Temple writing from Montreal that he is now using the glasses he was given by the Robinsons and still hopes to be able to send for his family. His letter concludes that he "shall never forget you all and your kindness to me." Slaves such as Simon, named in an 1837 letter to Robinson, would find Vermont "a great way for him to walk, but not worse than going to Canada." Robinson’s plan was for Simon to stay with friendly abolitionists along the way until he could "reach Vermont in safety." Louisiana runaways hid on ships leaving New Orleans to emerge in Boston for travel up to Vermont. Many were destitute young males. Rachel Robinson wrote her sister that two of their fugitives could only stay one night at Rokeby on their way to Canada, "for they were afraid to remain anywhere within our glorious republic lest the chain of servitude should again bind soul and limb: poor men! They left wives behind, and deeply did appear to feel the separation.grief sat heavy on their hearts." Slaves who reached Rokeby could venture out into the sunlight, far from their slave masters who probably would never travel so far to reclaim their "property." In 1806, a judge in Middlebury even ruled that it would take "a bill of sale from God Almighty" for an owner to regain his slave in this state. When President Obama spoke before the NAACP, reflecting on his family’s Cape Coast Castle visit, he said he "was reminded of all the pain and all the hardships, all the injustices and all the indignities on the voyage from slavery to freedom." A visit to Rokeby challenges a visitor to think about how Vermont was once a way station on that journey.